Anna Marie Pavlik grew up in Minnesota. After obtaining a B.A. in Fine Art from the University of Minnesota and a B.S. in Mechanical Engineering, from St. Paul Vocational School, she eventually set up her own studio. 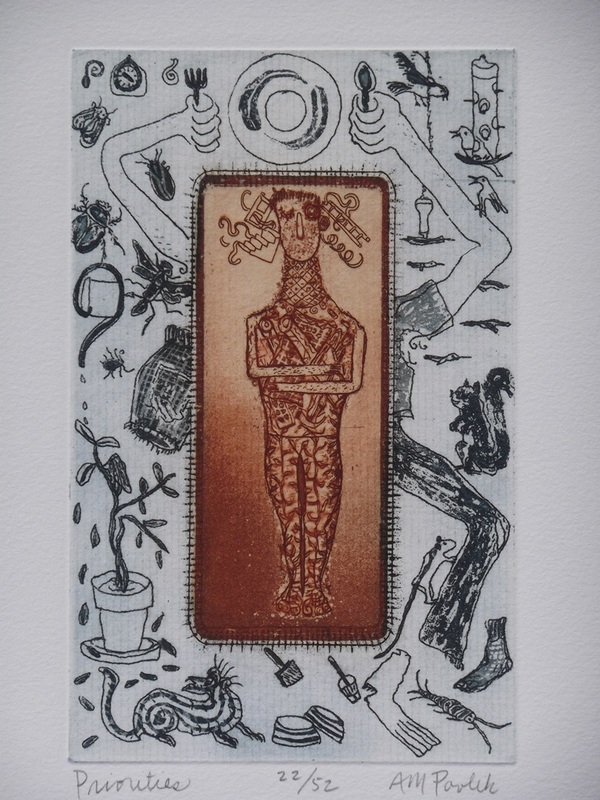 Focusing on the copper etching and stratograph (a layered monoprint process) Anna Marie produced several bodies of work exploring narrative themes. 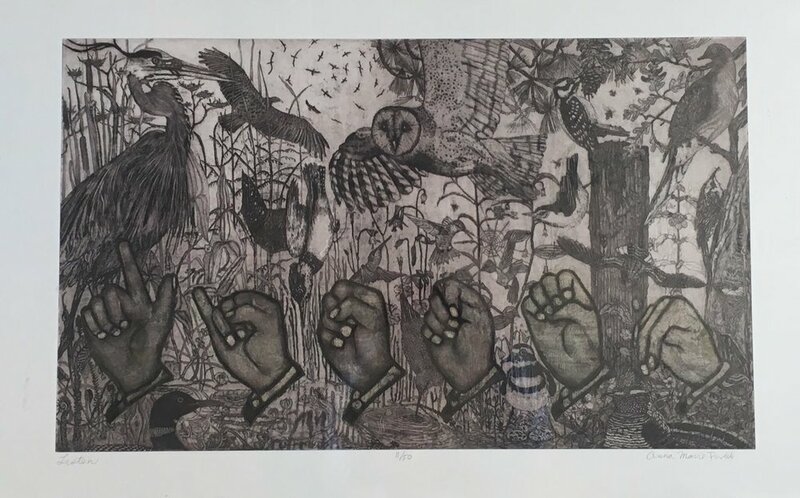 Growing concern for the survival of natural areas and a need to understand the relationship of people to their environment have encouraged Anna Marie to explore nature related themes. Participation in the Artist-in-Residence Program sponsored by the Department of Interior through the National Parks has been an ongoing focus. Exploring a different preserved area with camera, preparing etching plates, and journaling have become an annual effort. Accompanying this field work, she researches into the history, ecosystem, and special circumstances which make locations significant. The reward of finding a visual way to effectively communicate the emotional concern, value, and unique qualities of each natural area is an ongoing goal for Anna Marie. Her prints are in the collections of Hallmark Corporation, Kansas City, Missouri, Solender/Hall, Inc., Dallas, Texas, Sprint Corporation, Overland Park, Kansas, Tweed Museum of Art, Duluth, the University of Minnesota, Minneapolis, and University of South Dakota, Vermilion.